Photos, Google’s premiere gallery app, is serviceable, but quite basic. If you are looking for a photo organizer with a bit more visual flair, Piktures deserves a look. Dubbed a “gesture-based” gallery app by its creators, Piktures organizes your photos with style. Pics from albums, which are accessible via a swipe to the left, are arranged in a scrollable grid view. 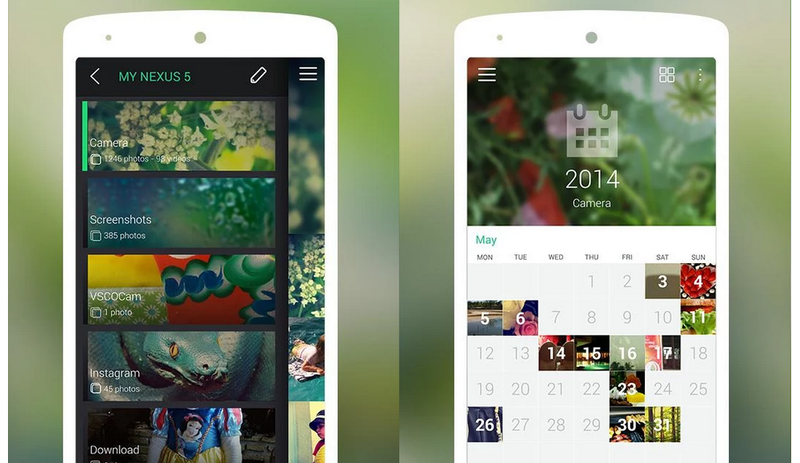 A dedicated button slickly arranges your photos and videos in a calendar view. And tapping to the right yields sorting filters like file type and location. Piktures has few management tools to speak of, although you can resize photos, set them as wallpapers, and sort by cities. The developers evidently devoted a lot more time to the design, which has touches of material design throughout. The header photo representative of the album you’re viewing fades as you scroll through images, for example, and the transition to calendar view evokes a flipping card. If you would like to give it spin, Piktures is free and without ads on the Play Store. It is definitely a gallery app to look into.